To optimize a website literally contains a billion factors to take into consideration (we’re exaggerating, but you get the point). It doesn’t matter if you are a beginner or an SEO god, chances are you have or will make mistakes that impact your website’s ranking. When you do err, it really helps to have a formal training in SEO because you’d know how to fix issues faster before they do too much damage. But even if you aren’t an expert, here are some mistakes that are commonly made and ways by which you can fix them. “Free-spirited” writers hate content calendars (it’s too structured!). Blame their inherent belief that it messes with their free flow of thoughts and includes set-in-stone deadlines that often cause writer’s blocks. Even if this isn’t the case, there are marketing professionals who want to set a content calendar, but don’t, because they don’t know how to structure their activities or they don’t have the time. But why is a content calendar important even? It’s because most writers don’t work alone (even if they like to believe so). Unless they are a one-person team who owns, designs and writes for a website, chances are, they work with other people. Given that 55% of the B2B marketers are unaware of what content marketing entails and how it affects their bottom line, it is especially important for writers to make a content calendar to put their tasks and outcomes into objective perspective, so employees understand what they bring to the table. There are many content calendar templates (Google docs and CoSchedule) out there for free that will help organize your content schedule. While many may believe that making a content calendar is hard work and time-consuming, there are many reasons why this is not the case. To make a content calendar (or any calendar for that matter), there are three things that you need to keep in mind – goals, tasks and room for error. One of the most important things to do when building a calendar is to identify your objectives. Not lofty, in-the-clouds objectives, but numerical, statistical and visible objectives. How many backlinks do you plan to achieve in a given time period? How many leads do you aim to capture? Things that can be measured by analytics. The next step to take is to identify how you plan to achieve these objectives – Want to write 15 articles in 3 months? Want to have 1 tweet every day? Then you set tentative deadlines on your calendar, so you know how far along or far behind you are on deadlines. Finally, always keep room for an element of unpredictability. It’ll help you prepare for the lemons that life seems to love throwing at you. What if your key writer is unwell 2 days before a submission? Will you forego posting content that week? Since these events are unanticipated, it is best to plan activities keeping a buffer period in mind. Whatever your purpose, one thing is certain. A well-constructed calendar tells your employer that you are serious about company goals and you have a plan to meet these goals. Most websites believe that more content equals more exposure. This is true. However, it is also a common mistake made by SEO specialists to create many blog posts of 300-500 words with the hope that more posts mean more pages for Google to index and therefore higher rankings. If your SEO told you this, he or she isn’t being upfront with you. Content length matters. Google wants its users to receive the most relevant results possible. That means an article with 300-400 words will lose out to an article with 1500 words. This is because articles with 1500 words are bound to have more information about the topic at hand than your 300-word article. So, even if you have 10 articles that are made of 300 words, you won’t derive much SEO value from it. Another mistake SEOs make commonly is ignoring old content. It’s great that you release new articles every week and your team is meeting its content target. As long as there is new content, why look at the past, right? Wrong. Old content is likely to not have the same SEO value as newer ones. This is because of changing keyword popularity. Your old articles may have keywords that don’t have a high search volume anymore. This would be a shame because older pages tend to have higher page authority than newer ones, but this is negated by the lack of unoptimized content. It is easy to fix the length of new articles. You could broaden the topic you are writing about to include more content or explain the topic in more detail. The problem arises for older articles that are already published on your site. While removing the articles may seem counterintuitive, it is better for your website’s ranking if you can just stitch together a few 300-word articles with similar topics. For example – If your site has articles about SEO on-site optimization and offsite optimization separately, you could just edit and put them together under one topic, so the overall word count increases. It should be noted, however, that this does not work for all cases. If your site has a strong domain authority, leave a couple of small articles be (especially if they work well on their own). Many people believe that SEO ends at optimizing on-page and off-page aspects of a website. In reality, SEO is not about the process, it is about the result. 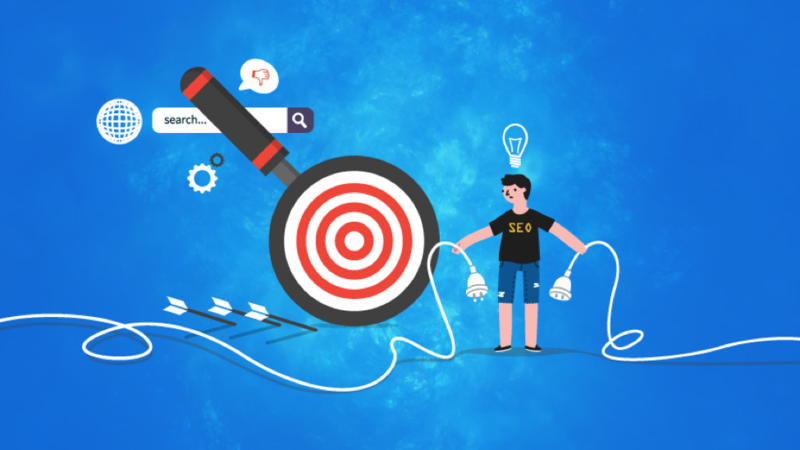 As an SEO, your goal is not just to optimize your website’s page, but also achieve the goals set, be it improve your website’s ranking or enhance your site’s engagement rate. This often includes content as well as social media. SEO teams, like conductors, will need to bring all aspects of digital marketing together in a way that complements each other. Have a ladder system in place. In this system, the content developed in your company must be pushed upward almost immediately by using SEO practices as well as social media. Time your tweets and posts to announce the article’s release for maximum impact. Additionally, you could make use of social media influencers to reach out to audiences that you cannot. These guys have a higher and more loyal fan base and are often established experts in their fields. Reaching out to them could help take your exposure to a whole new level. There are many reasons why you should go local. If Google’s Pigeon, Possum and Hawk updates show us anything, it’s that Google is placing more and more importance on local search. This path isn’t surprising, given that 87% of the population who own a smartphone use a search engine at least once a day. So forgetting to adapt your site to local search is just bad SEO practice. Not only does your site lose out on exposure, but it also loses out on a chance to optimize content in multiple ways. Search Engine Land has a wonderful checklist that helps optimize your content for local searches. Add keywords with your location in your content – For ex – If you are writing for an SEO firm, then include the term, “SEO firms in New York” in your content. It is important to not just look at present SEO practices, but also anticipate the future. As history has shown us, Google loves surprising us with unexpected updates that could throw strategies out of the window. According to a compilation of statistics by Branded3, the number of people using mobile phones has increased and as a result, the number of people who use voice searches has also increased. Artificial assistants like Siri, Cortana and Alexa use their unlimited access to the internet and their sassy wit to entice their audiences. As an SEO, it is important to think about and adapt to the implications of voice searches on keywords and location. According to Search Engine Land, these are the changes that need to be made to adapt to voice searches. Long-tail keywords are more important – People who use voice searches will have a natural, more conversational tone. So, long tail keywords must be used more often. Anticipate longer keywords than normal searches – When people use AI personal assistants, they ask fully framed questions such as “Hey Alexa, where can I get Chinese food near me?” When ranking for keywords, it is important to take this into consideration. Ensure that you leave room for mispronunciation – People around the world pronounce words differently. When ranking for words, make sure you take this into consideration. Most SEOs hate and dread the words “website audit.” Audits are believed to be incredibly hard to perform and frustratingly complex to analyze. But what are website audits? Website audits are in-depth analysis conducted on all the factors that influence a site’s ranking. They include onsite as well as off-site SEO factors like broken links, unstructured XML sitemaps and unoptimized content. Why should you do a website audit? Audits do wonders for your website. With a thorough audit, you can identify which aspects of your site is bringing down your ranking and take steps to fix them. Moreover, website audits aren’t as hard as their reputation makes them out to be, not with the technology available today. Make an audit checklist or use a template found on the internet. Once you establish the factors you have to look at, make use of the wide range of SEO tools like SEMRush (check SEMrush Review) and Moz Open explorer to run through your website. With these tools conducting an audit and analyzing the results of the audits is actually pretty easy. As an SEO, it is easy to feel overwhelmed. There are a million factors to look at and not enough time to do so. Once in a while, you are bound to make a mistake mentioned in the list. It’s alright if you do, as long as you fix them soon enough. However, the best way to avoid these mistakes is by keeping a checklist of all the things you need to look at. Hit us up in the comment section if we have forgotten a point or if you have a clear-cut solution to woes of all the SEOs out there! About Author: Akshata is SEO content specialist for Simplilearn. She previously worked at Sears and had her start at ANSR source. She values curious minds and loves learning by trying and by talking to new people. Follow her on LinkedIn to learn more. What Makes MediaTrans The Best to Transfer iPhone (X/8) Photos and How to Use It?